The luxury apparel company launched its spring advertising campaign, featuring Jordan, on Thursday. 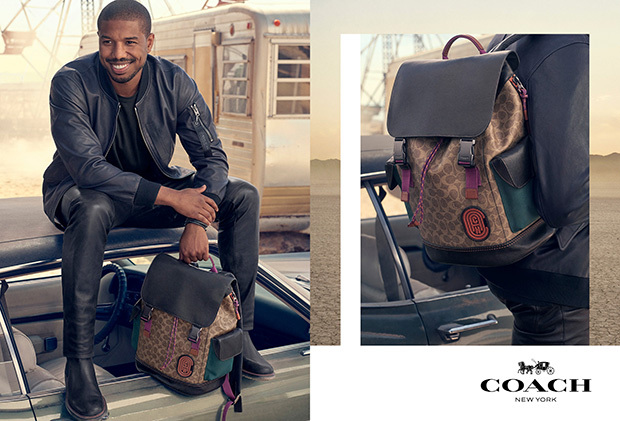 An image of Michael B. Jordan from his campaign with Coach. 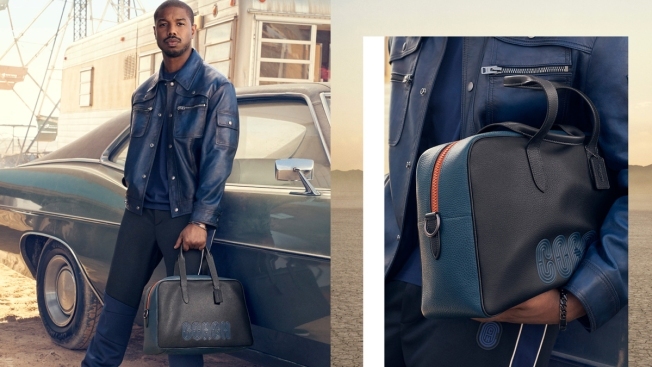 Michael B. Jordan is starting off 2019 as the new face of Coach menswear. The luxury apparel company's newest advertising campaign features the "Black Panther" star wearing several different pieces from their spring menswear line, including a blue leather moto jacket and the Signature Rivington Backpack. "I've really enjoyed getting to know Michael over the last few years," said Stuart Vevers, Coach creative director, in a release. "He has been a true supporter of Coach so it felt like a really natural step to collaborate more closely and create a partnership we can take to the next level." Jordan also stars in a new campaign for Coach's men's fragrance. Both campaigns have vintage-style backdrops. In the menswear ads, he poses with a vintage car "backstage at a faded carnival" in a "sunlit desert landscape desert outside of Los Angeles," according to a statement realeased by Coach on Wednesday. Michael B. Jordan, as seen in this 2019 Coach ad campaign. "I'm proud to be the face of Coach men's," Jordan said in a statement. "I've been a fan of Coach for a long time and truly respect their inclusive and optimistic values. I'm honored to be a part of Stuart's vision and creative process. Jordan recently wrapped production as the star of "Just Mercy," a biopic about the life of attorney Bryan Stevenson. The film is set to be released in 2020.